Many parents find themselves in the McDonald’s drive-through from time to time, or making a stop at a McDonald’s Playland to enjoy the free wifi while their kids frolic on a plastic playground. 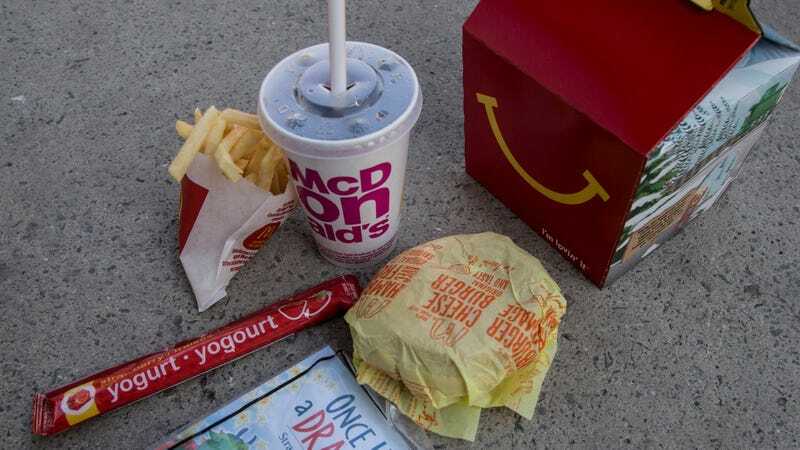 These parents are grateful for the healthy options attempted to be inserted in the McDonald’s Happy Meal (even if the kids aren’t), like squeezable yogurt, apple slices, and juice or milk instead of soda. By the end of 2022, at least 50 percent of Happy Meals listed on menus worldwide will have caps of 600 calories, 10 percent of calories coming from saturated fat, 650 mg sodium and 10 percent of calories coming from added sugar. By June, 100 percent of Happy Meals in the U.S. will hit the calorie, saturated fat and added sugar targets and 78 percent will meet the sodium criterion.